I’ve been looking back on the year that was 2016, and thinking about gratitude. One of the remarkable things that happened this year about which I’m supremely grateful is the movement at Standing Rock. Thousands of brave Americans in North Dakota faced brutal weather and unnecessary police force to stop a pipeline from being driven through the heart of America and potentially ruin their source of clean water. This was no ordinary protest. 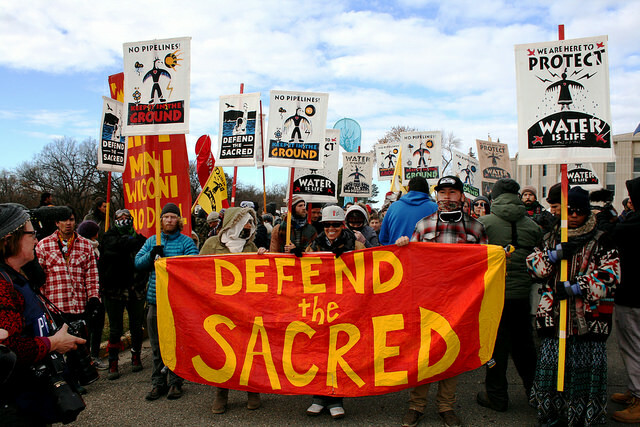 Not only did it bring together over 500 tribes, but it also became the rallying cry to millions across the world who believe we need to make the shift from fossil fuels to renewable energy. And its effect was also remarkable: President Obama and the Army Corps of Engineers made an historic decision to pause, conduct an Environmental Impact Statement and look at alternative routes. 2017 might be a very different year. Members of Congress from North Dakota, President-elect Trump, and Energy Transfer Partners — the company that stands to make a bunch of money at the expense of most Americans — have already indicated they’ll try to overturn the decision to explore alternative routes. I believe they’ll lose, not only because they’re facing a transformational protest, but also because building pipelines anywhere and everywhere oil and gas companies want is a bad idea. America is on the verge of becoming the dominant clean energy superpower in the world. Retreating into our reliance on the fuels that powered the last century is the equivalent of trading in the digital age for reams of notebook paper. Our future can be cleaner and more prosperous. For those of us who want to see our children inherit a new era of American prosperity that is built on innovation, 2017 will be pivotal. We’ll need to be more energized, more focused, and yes more patriotic than ever before. We’ll need to stand up for what America actually is — a place in which all citizens — even and especially its original ones — have the right to determine their own futures and protect their access to water they can drink. The Standing Rock movement needs all of our support now more than ever. If you were in North Dakota or are still there, stay inspired and stay peaceful. If you can’t be there, there are other ways to support the movement. Donate money for legal and logistical support. Contact your political representatives and make your opinion known. Share news of the movement in your social and digital networks. Most importantly, when the Environmental Impact Statement is announced – which should be any day — submit a comment and make your voice heard. 2017 can be a pivotal year in transforming how America creates energy and treats her citizens. I look forward to it. 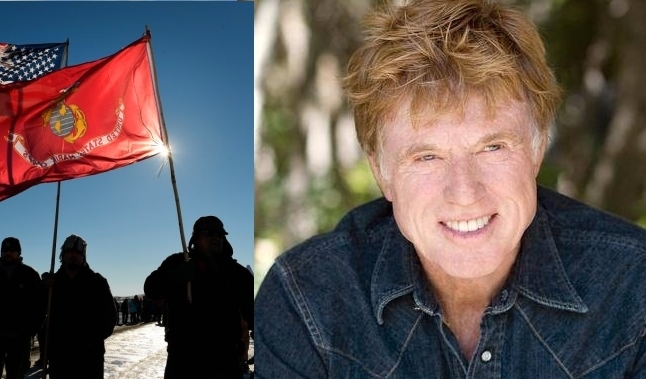 Responses to "Robert Redford's encouragement letter to Standing Rock Water Protectors"
https://daplpipelinefacts.com/ <--- They ar esaying here that it is off Res. land and all is well. ??? where is the link to support? http://lakotalaw.org/ there is a direct link to submit your comment to the Army Corps of Engineers on their website.